Enforcement issues in George Town heritage management? A member of a George Town heritage advocacy group, the Heritage Action group (GTHA) who intended to comment on the enforcement of heritage related regulations and guidelines in George Town, was asked to leave and was escorted out of a consultation session gathering UNESCO and heritage management stakeholders hold last week. He had been invited, before being “uninvited” to the restricted meeting, which was held in conjunction with a UNESCO Regional Conference on Harmonising Actions to Reduce Risks for Cultural Heritage in Asia and the Pacific. He is concerned by what he sees as a lack of monitoring and enforcement against illegal renovation works in the George Town heritage zone, reported the press in related articles. “There are now strict guidelines in place for house owners within the zone to comply with when restoring their properties, including rules about building height, materials used and preserving as much of the building as possible”, recalled the Malay Mail Online. But, said the activist : “Anyone can do anything they want to a heritage shophouse openly because there is a lack of enforcement and even when they are served with a stop work order, they will ignore it and continue work because there were no punitive actions taken against them”. Smoke without fire? Conflicts of interests? Whichever, this anecdote is an illustration of the tricky trade-offs that heritage management has to address. “No one’s watching, heritage building owners do as they please“, The Malaysian Insider, 10 Dec. 2015. 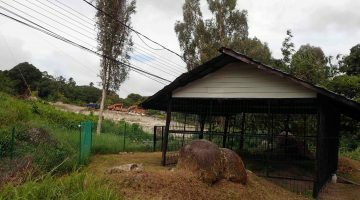 Previous post Listing private properties as heritage sites: the on-going Vivekanananda (Kuala Lumpur) case. And: where does Sarawak stand?